Spirituality is all around us and in us. When we understand this, no matter where we look, spiritual revelations abound. And when we come to know these revelations, then everything we encounter and everyone we meet is a teacher. Difficult people? Empathy and compassion. When we choose to see all of life as a classroom filled with spiritual lessons, we make an agreement with Spirit to reach the sacred fullness of our potential. It takes being alert, being receptive, and being humble. A major obstacle to this practice is pride. If we think we already know it all, or think that we have it all figured out, our progress will slow or stop until we remember that we need to walk in humility. Sometimes recurrent issues occur until we learn the lesson embedded in them. As Buddhist teacher Pema Chödrön says, "Nothing ever goes away until it has taught us what we need to know." When we examine the curriculum of spiritual education, we find courses being offered at every moment. We can enroll at any time, it's inexpensive, and classes are conducted anywhere by an abundance of teachers. Nothing is useless in Spirit's classroom; it's all for our learning, if we so choose. Spirit constantly surprises us with new and uncommon teachers, along with unpredictable lessons. As you go about your day, be alert to your teachers in whatever form they take. Sit under a tree and ask it to reveal its teachings. As you are eating, ask your fork what it can teach you. While you are enjoying your garden, learn from the spider and the web it has created. Sometimes the biggest lessons we learn come from seemingly negative experiences like illness, suffering, difficulties, or death. If you find yourself in one of these courses, open yourself up to the experience, and ask of it, "What is it that I am to learn?" Your openness, willingness, and receptivity will pave the way for the answers to come. Let me know how your lessons are progressing. Your stories are welcome here. 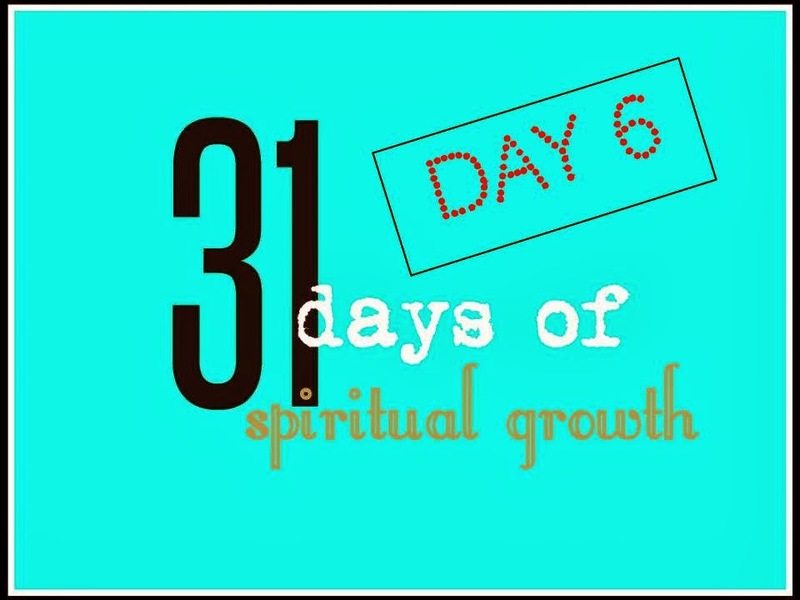 Introduction to 31 Days of Spiritual Growth. Here you will find links to all the posts in this series. Penny this is so true! Our life is like a school with lots of courses to attend. Our emotions (fear, anger, resentment, envy, insecurity, etc...) are courses too and each time we learn to deal with each emotion we get closer to graduating. How long each of us remains in each course is entirely up to us. And there are so many courses from which to choose! Courses begin every moment. There's never a dearth, is there? Thank you for sharing here, and here's to learning all that we can spiritually. Tamala, OMG, NY can try anyone's patience! That's why I never go unless I have to. I have to spend a whole day in meditation before going into that city. Ha Ha. I know how you feel. Too much energy there for me! But I'm glad this post got you thinking. That's always a good thing. I really love this one!!!! I knew, that knowing you, it was not going to be a school of any type. I love, love, love this. Our daily lives and what we pull into them is the best institute of learning there could be. Of course, if that is impossible to believe, a person can get their spirituality thru a third party, church or assorted seminars. When one learns in the way you suggest, they can still go hang out and have fun with others at gatherings and organizations. The course is life itself. How cool!!! I'm so glad this post resonated with you. Yes, it is possible to believe that a person can get his or her spirituality through third parties, churches and seminars. Sometimes those are stepping stones for bigger courses at the Sacred Institute :-) The Spirit makes itself available in abundant ways! How awesome is that? Shasheta, how true. We are the only ones who know how well we did or not, how well we progressed or not, and how authentic we've been or not. Good point. Thanks so much for stopping by. I appreciate your thoughts. Wow! This is really a profound message. :-) And it is very much in alignment with everything I've been thinking today. I remember a Priest telling us a similar story about God the Father years ago. Like you said, in everyone and everything. Great minds think alike, Kathy! How many times have we done this where our messages were similar? LOL. God must have someone out there who really needs to hear these messages...we must be big mouthpieces...ha ha! P.S. I just noticed that I typed Peggy before....sorry for the typo. I like that saying, Peggy! I love the twist on it. There is learning wherever we turn! amarnaik, dualism plays a big part in the belief systems of some people. they would argue that you can't know one thing without knowing its opposite. Thank you for stopping by to share your thoughts. I appreciate it and I hope to hear more from you. It can be a challenge dealing with difficult people. If we can't avoid them, then we have to change our strategy when having to deal with them. Rather than fuel the situation with hate or anger or other ill feelings, it's best to send love and light to those individuals. What you give out comes back. Things will work out if you want them to.